In this post I explore the use of PROCedures and FUNCtions in Action! Action! gives the ability to create both procedures and functions. similar to BASIC subroutines, or C functions, or any number of other languages that support structured subroutine mechanisms. A very simple program may not need either type. The difference between a procedure and function is that functions return a value. Each can accept up to five parameters. In writing these I learned that every program must contain a procedure. Though I’m not sure why the simple print’s didn’t require it. The programs presented here are in proper Action! form. This is a function implementation of the same calculation as the procedure above, but rather than output the result to the screen, it returns the result for assignment to a third variable, which in turn is output to the screen. 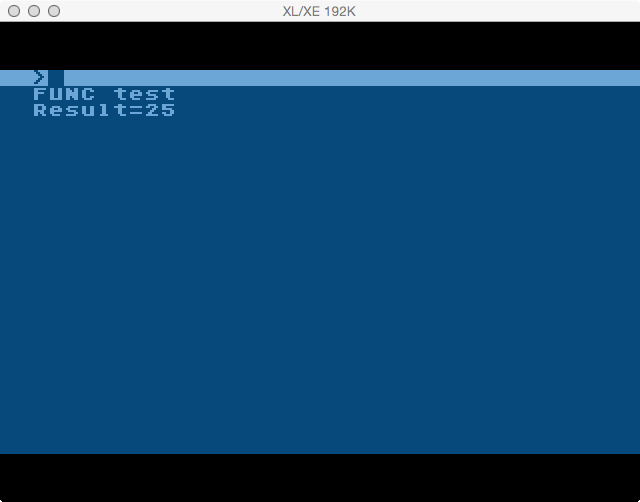 Next I’ll look at a number guessing game to contrast with the BASIC and Assembly versions I wrote about before. Nice to finally learn some Action! after all these years. I only ever had, and programmed in, PILOT and Atari BASIC for my 400 and 800XL. Action! is a great language. 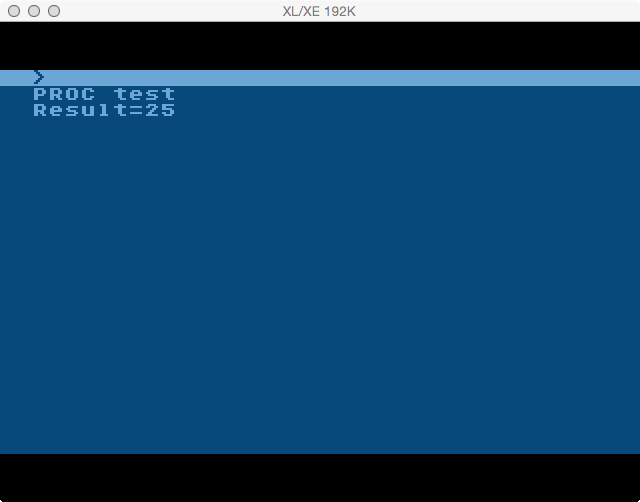 I’ve recently become a huge fan of cc65, which is very nice for writing on modern computer with nice editor and cross compiling for the Atari.